What’s next, American youth? How can we inflict even more harm on ourselves? First, huffing toxic inhalants, then ingesting bath salts, and now this, mutilating our skin with “sunburn tattoos”? Sunburn tattooing or “sunburn art” is a dangerous new craze that is growing in popularity among young people, who either perceive themselves as invincible or just don’t know any better. The tattoo-ers expose parts of their bodies to the sun without using any sun protection. The result? 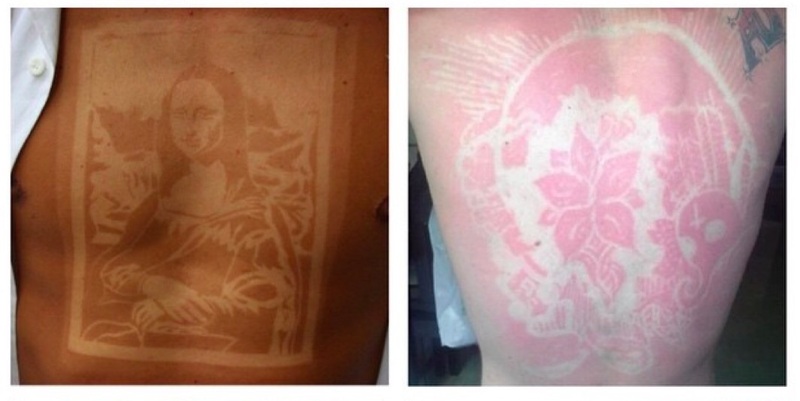 A nasty sunburn that features the shape of a particular image, design, or pattern. While I find it hard to believe that people are doing this on purpose, many of the “sunburn artists” are proudly posting their masterpieces on social media sites, such as Instagram. Of course they are; the whole point of this is to get attention, right? 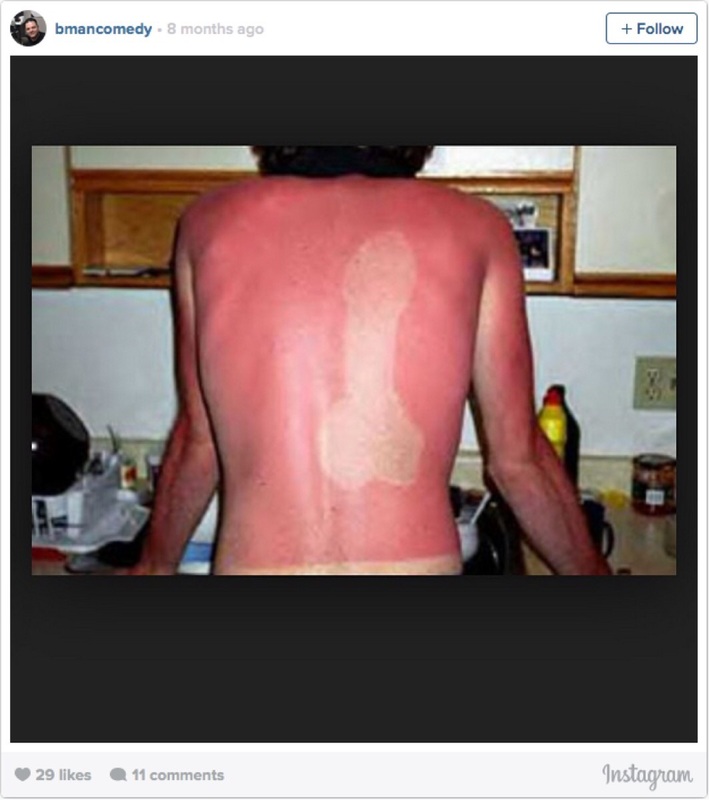 Check out the trending hashtag #sunburntattoos. I cringe at the images. Classic and hilarious? OUCH! Not so much. A sunburn tattoo, like a high from huffing spray paint, provides a temporary sense of pleasure and accomplishment to the self-abuser. But unlike a high, a sunburn tattoo, like an ink tattoo, is painful. 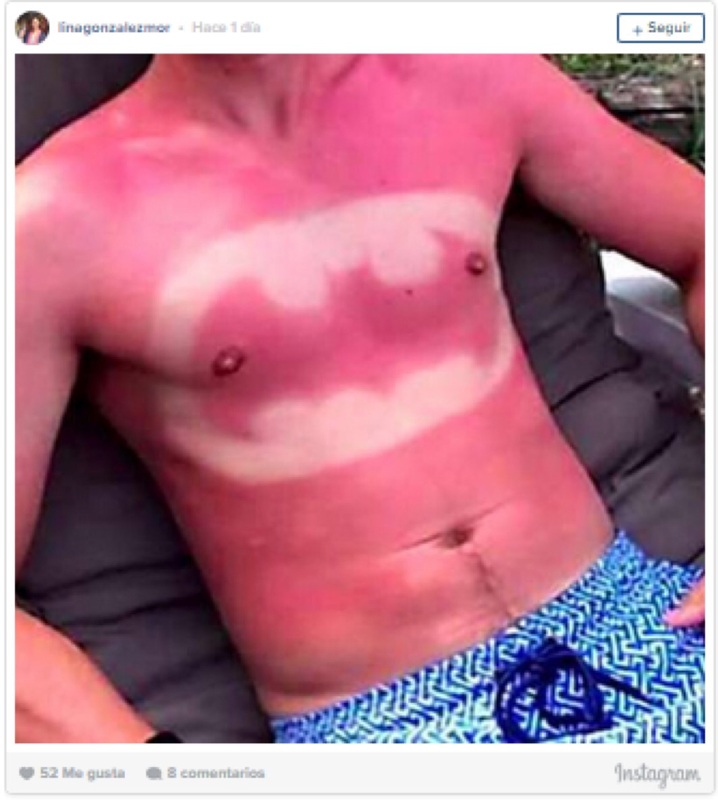 In the case of “sunburn art,” one may showcase his/her image for only week or so, but he/she spends the majority of that time in agony from the severe burn to the flesh. This makes the act particularly idiotic. 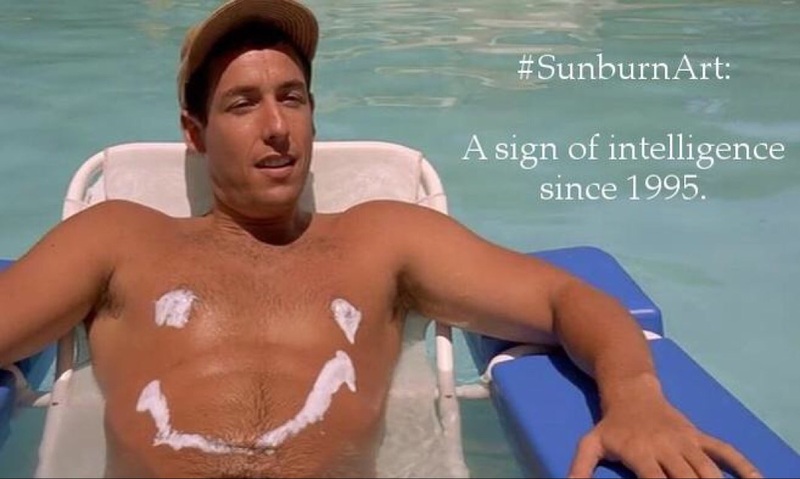 This trend highlights the lack of and need for widespread discussion and dissemination of information on sun protection and skin cancer prevention. Unfortunately, many simply aren’t aware of the threats that sun-tanning and burning pose. At the very least, I think that some of the sunburn tattoo-ers would cease this behavior if they knew it could result in a potentially fatal melanoma. And for those who choose to ignore the risk…well, that’s Darwinism. After hearing about sunburn tattooing from Kelly and Michael, later today, I then heard a host on LA’s ALT 98.7 FM discussing it. Unlike Kelly and Michael, he minimized the craze, expressing that parents should not be so bent out of shape about it. After all, there are far worse trends happening. In response to that perception, I would agree that the short-term consequences of sunburn tattooing are less threatening than those of huffing gasoline. One could end his/her life immediately during the act of inhalation. In contrast, a sunburn, while causing instant skin damage, will not arrest an internal vital organ like the brain or heart. However, I strongly oppose the notion that we should stop our belly aching over sunburn tattoos. That’s an ignorant statement. Just like too much of a toxic substance can devastate the body, an overdose of solar UV can have dire long-term consequences, and, for some, will result in either surgical disfigurement or death. Please help to raise awareness about the dangers of sunburn tattooing or “sunburn art.” Spread the word on social media and discuss it with any children in your lives. Kids are impressionable, so try to make your positive mark on them while you can and equip them for good decision-making!